Mediterranean Lee Cyclogenesis The influence of the Alps on the development of a symmetric, warm-core subsynoptic cyclone during MAP D-PHASE (15-16 November. 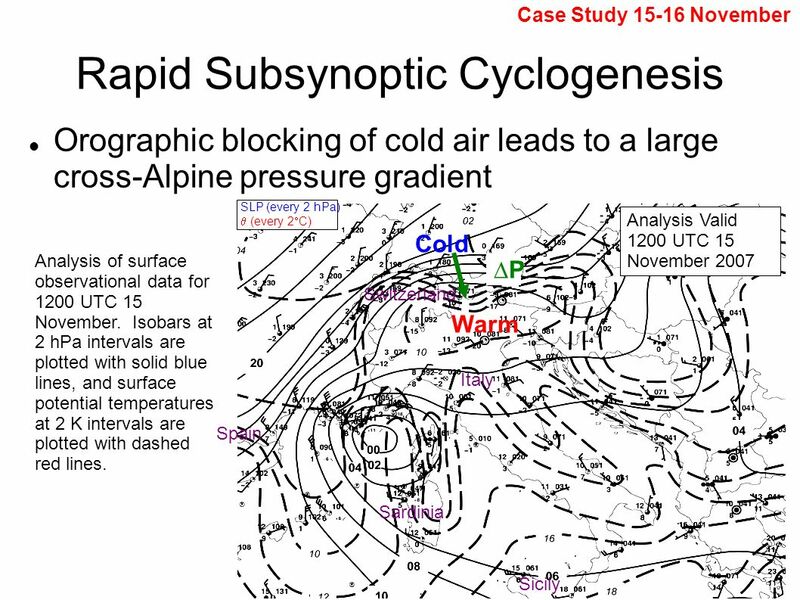 5 SLP (every 2 hPa)‏  (every 2  C)‏ Rapid Subsynoptic Cyclogenesis Orographic blocking of cold air leads to a large cross-Alpine pressure gradient Case Study 15-16 November Sicily Sardinia Switzerland Italy Spain Analysis Valid 1200 UTC 15 November 2007 Cold Warm ∆P∆P Analysis of surface observational data for 1200 UTC 15 November. 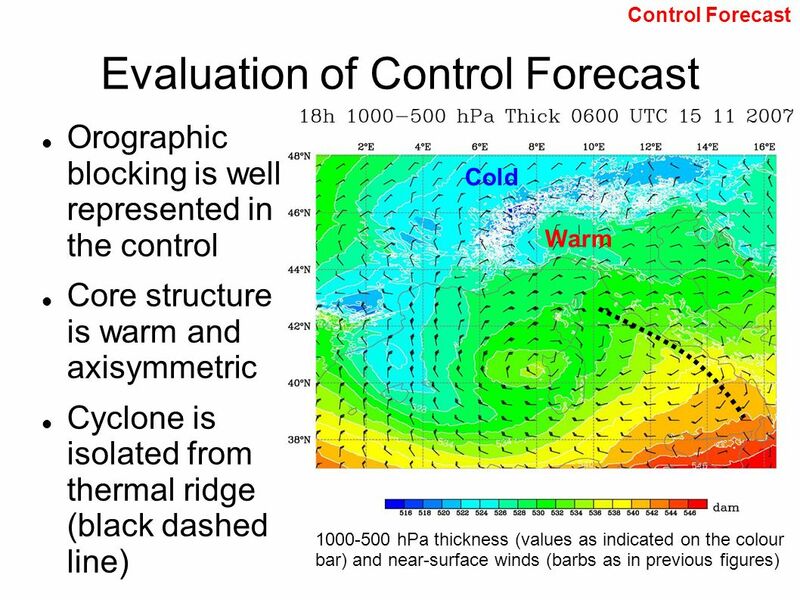 Isobars at 2 hPa intervals are plotted with solid blue lines, and surface potential temperatures at 2 K intervals are plotted with dashed red lines. 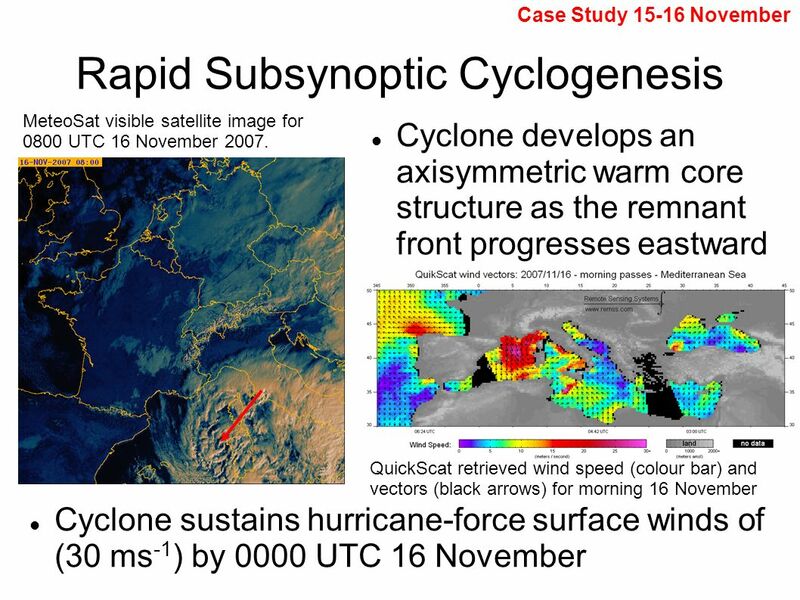 7 Rapid Subsynoptic Cyclogenesis Case Study 15-16 November QuickScat retrieved wind speed (colour bar) and vectors (black arrows) for morning 16 November Cyclone sustains hurricane-force surface winds of (30 ms -1 ) by 0000 UTC 16 November Cyclone develops an axisymmetric warm core structure as the remnant front progresses eastward MeteoSat visible satellite image for 0800 UTC 16 November 2007. 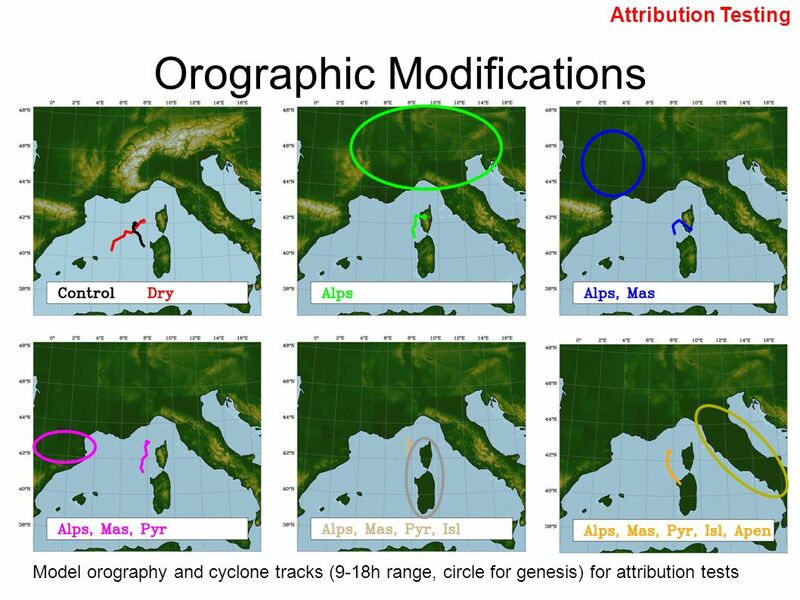 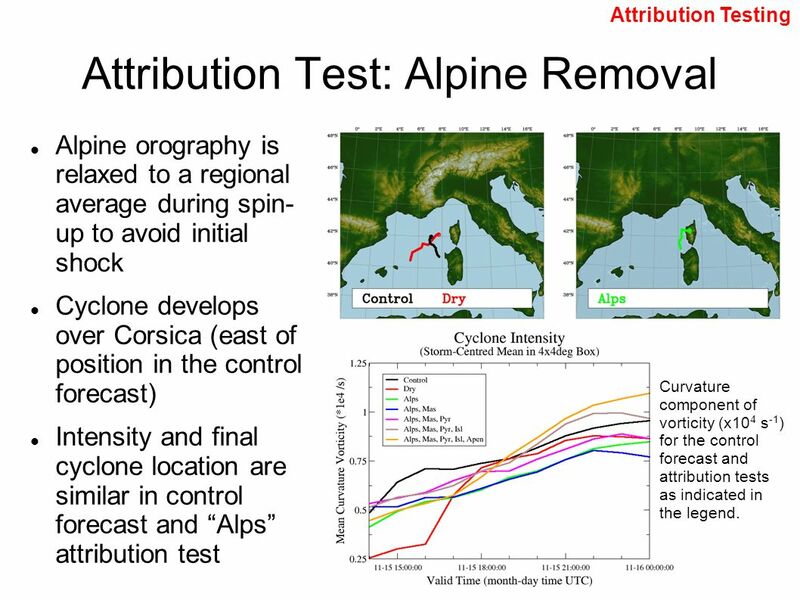 10 Attribution Test: Alpine Removal Attribution Testing Alpine orography is relaxed to a regional average during spin- up to avoid initial shock Cyclone develops over Corsica (east of position in the control forecast)‏ Intensity and final cyclone location are similar in control forecast and “Alps” attribution test Curvature component of vorticity (x10 4 s -1 ) for the control forecast and attribution tests as indicated in the legend. 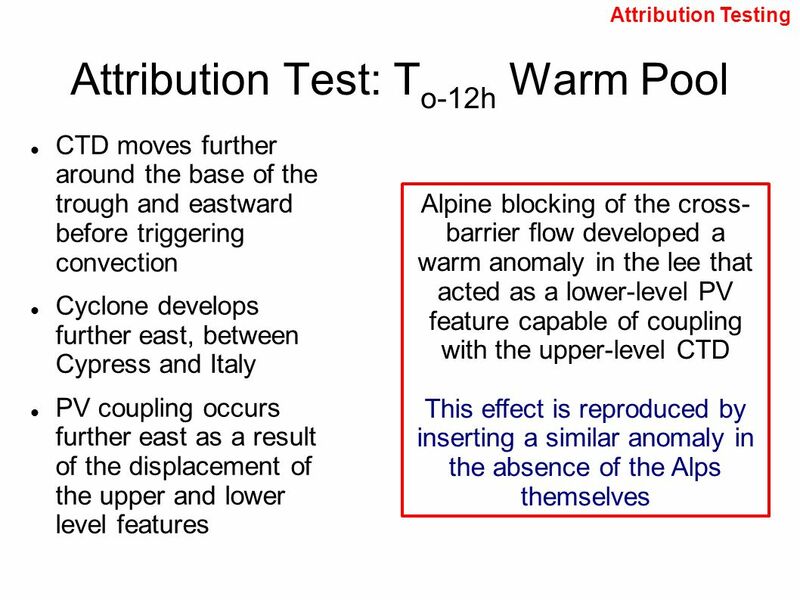 17 Alpine Influence on Development Attribution Testing Comparison of the 12h forecast from the T o-12h Alpine Removal and the control initialization shows a large thickness difference Alpine blocking holds back the cold front and creates a relative warm area in the lee Warm pool is a surface potential temperature anomaly (θ' sfc )‏ Thickness (1000-500 hPa) difference between the 12h forecast of the T o-12h Alpine Removal and the initializing data for the control forecast (warm colours indicate areas where the control data is warmer). 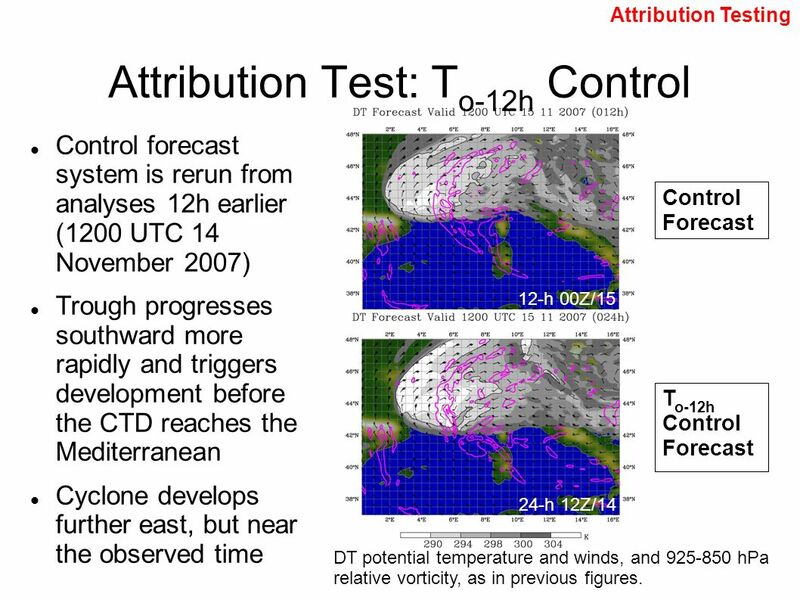 Control forecast thicknesses are plotted at 6 dam intervals with magenta contours. 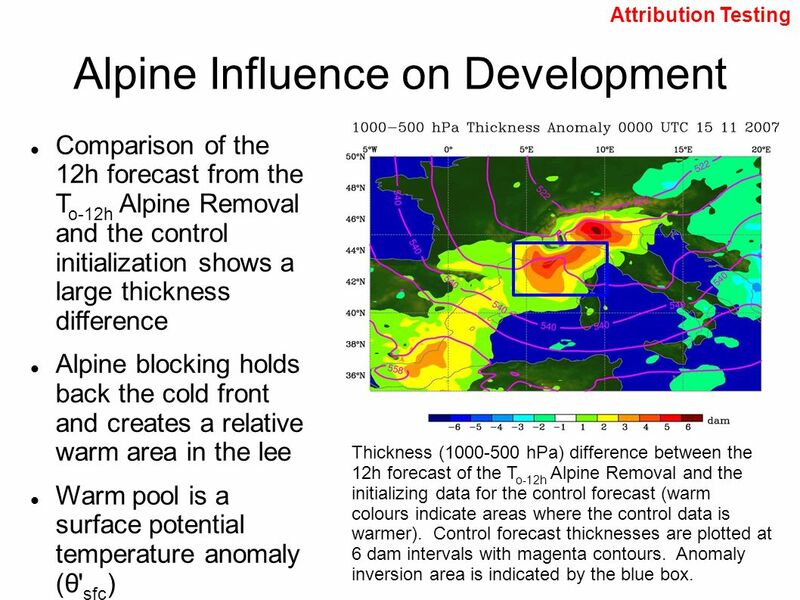 Anomaly inversion area is indicated by the blue box. 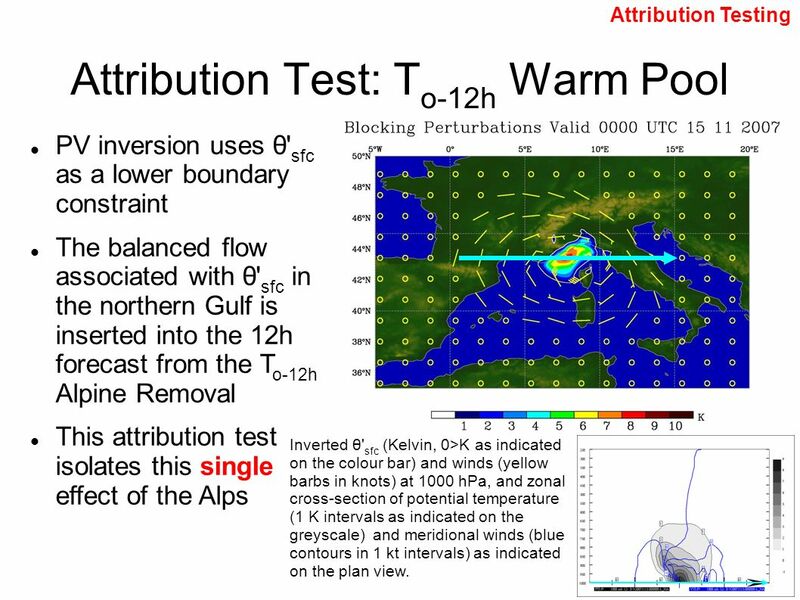 18 Attribution Test: T o-12h Warm Pool Attribution Testing PV inversion uses θ' sfc as a lower boundary constraint The balanced flow associated with θ' sfc in the northern Gulf is inserted into the 12h forecast from the T o-12h Alpine Removal This attribution test isolates this single effect of the Alps Inverted θ' sfc (Kelvin, 0>K as indicated on the colour bar) and winds (yellow barbs in knots) at 1000 hPa, and zonal cross-section of potential temperature (1 K intervals as indicated on the greyscale) and meridional winds (blue contours in 1 kt intervals) as indicated on the plan view. 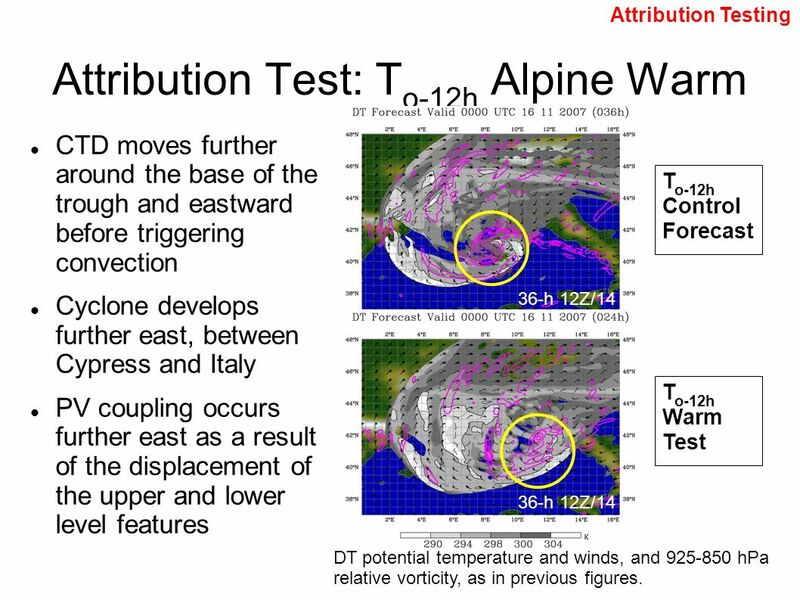 20 Attribution Test: T o-12h Alpine Warm Attribution Testing CTD moves further around the base of the trough and eastward before triggering convection Cyclone develops further east, between Cypress and Italy PV coupling occurs further east as a result of the displacement of the upper and lower level features Cyclone tracks beginning at first identifiable time, and ending at 0000 UTC 16 November 2007. 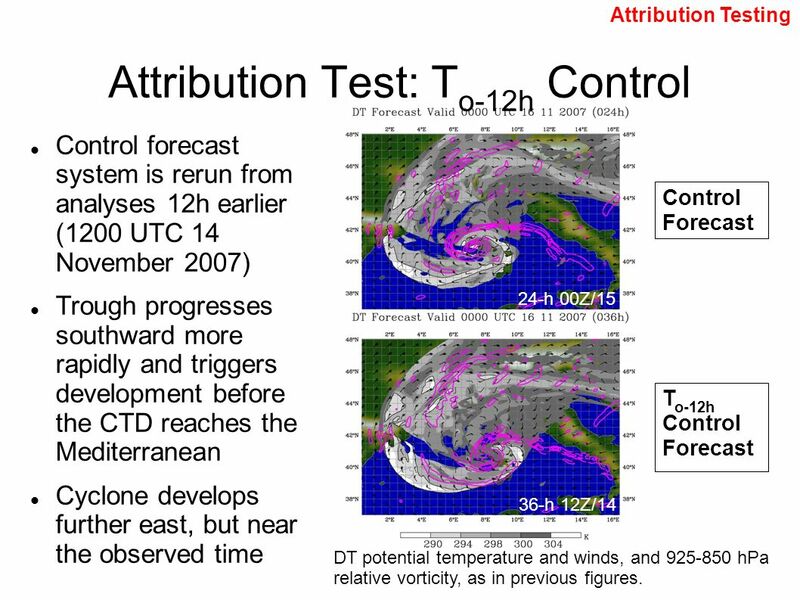 Curvature component of vorticity (x10 4 s -1 ) for the control forecast and attribution tests as indicated in the legend. 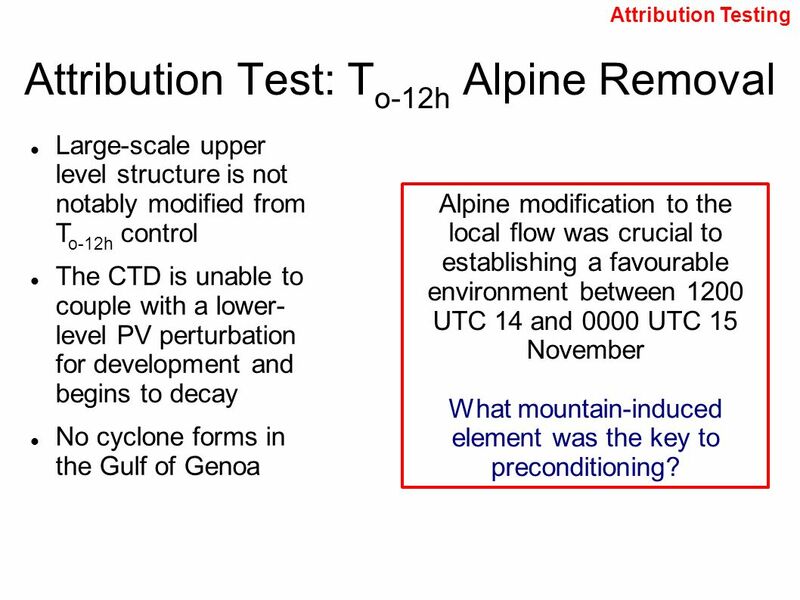 24 The END What are you doing, Dave? 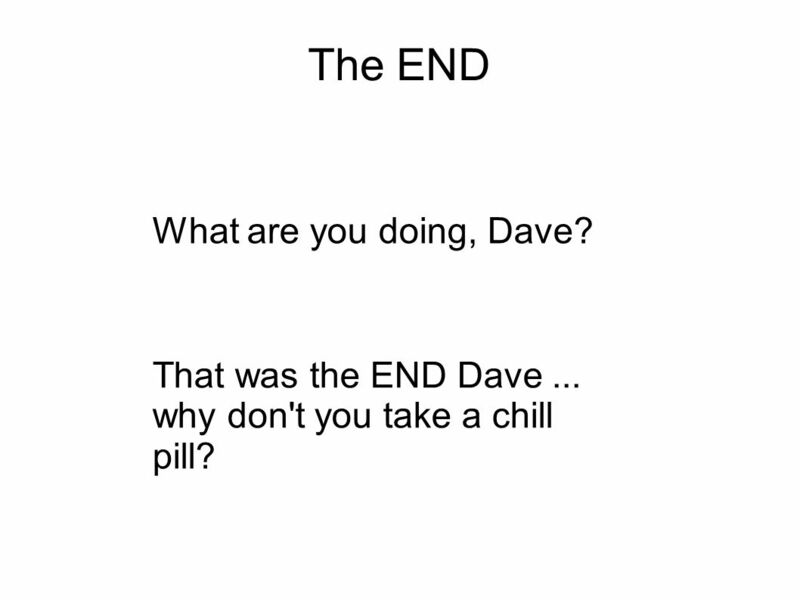 That was the END Dave... why don't you take a chill pill? 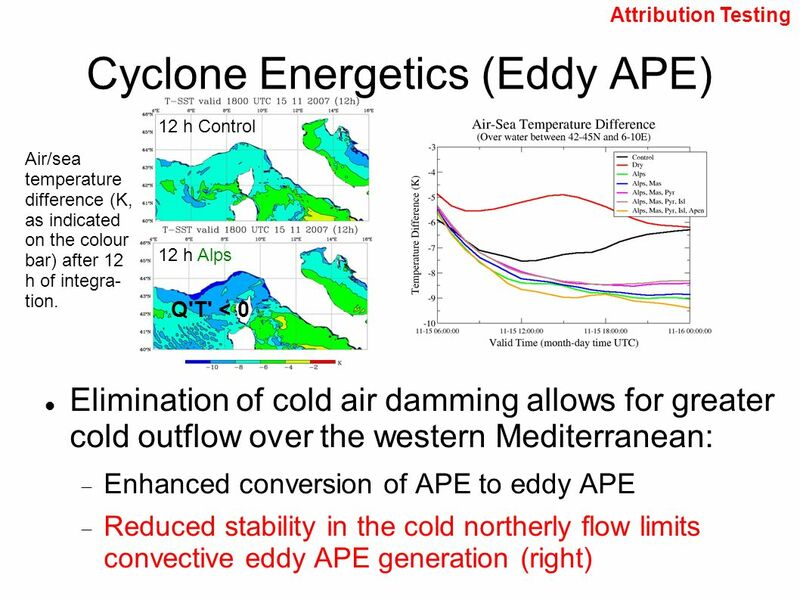 28 Cyclone Energetics (Eddy APE)‏ Elimination of cold air damming allows for greater cold outflow over the western Mediterranean:  Enhanced conversion of APE to eddy APE  Reduced stability in the cold northerly flow limits convective eddy APE generation (right)‏ Attribution Testing ControlAlps V'T' > 0 18 h 1000-500 hPa thickness from attribution tests (colour shading as indicated on the colour bar) and 700 hPa winds as on previous figures. 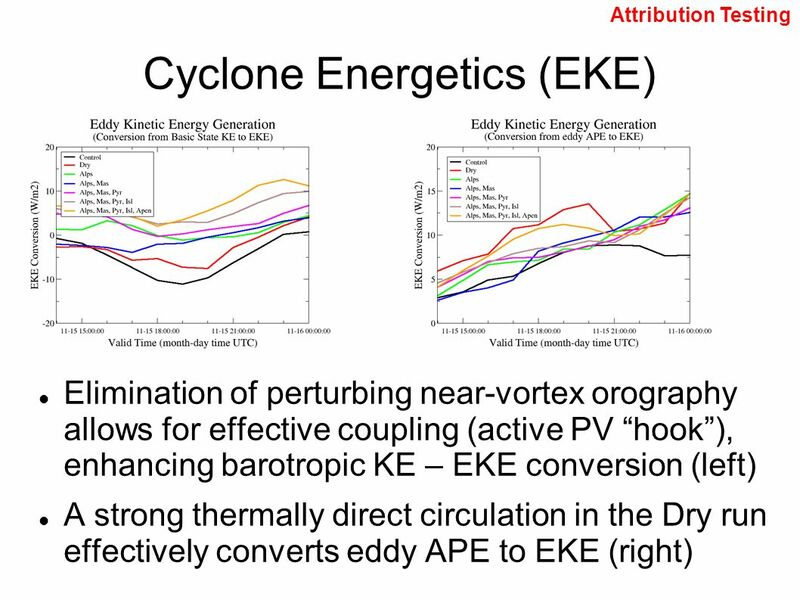 31 Cyclone Energetics (EKE)‏ Elimination of perturbing near-vortex orography allows for effective coupling (active PV “hook”), enhancing barotropic KE – EKE conversion A strong thermally direct circulation in the Dry run effectively converts eddy APE to EKE Attribution Testing ControlAlps, Mas, Pyr, Isl, Apen 18 h DT potential temperature from tests as indicated (colour shading as indicated on the colour bar) and DT winds as on previous figures. 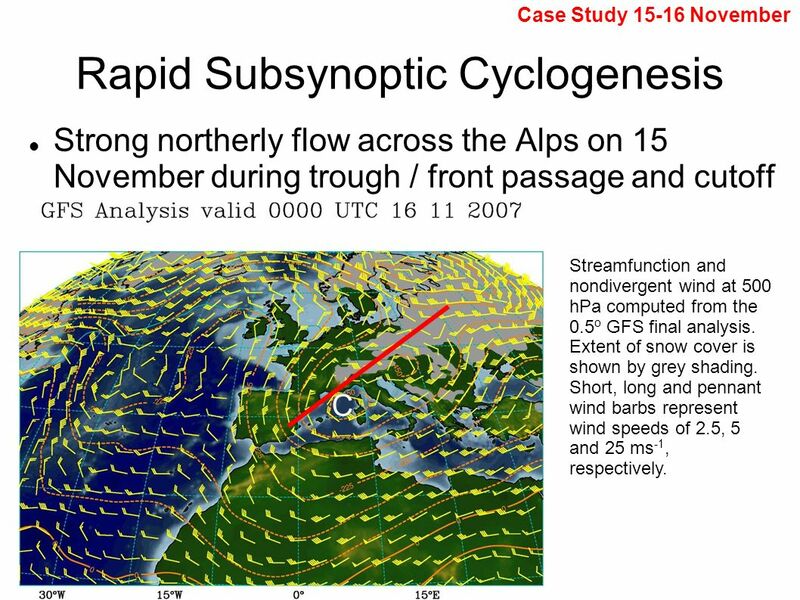 32 Summary Lee cyclone (Uberstromungs-type) forms along a confluence line at intersection of PV banners Orographic attribution study suggests that orography is not a necessary component:  Control: mountain triggering of diabatically developed “Mediterranean hurricane” type  Alps: rapid baroclinic development with strong air-sea temperature differences (polar low)‏  Full removal: combined baroclinic and baro- tropic forcing with diabatic assistance to gen- erate the strongest cyclone in the tests (polar low)‏ Discussion Integrated suspended hydro- meteor after 18 h of integration. 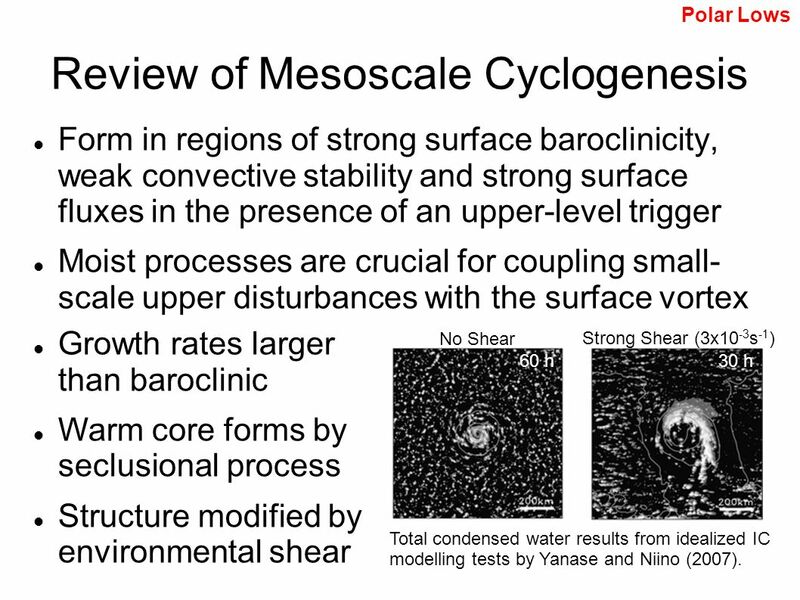 38 Review of Mesoscale Cyclogenesis Form in regions of strong surface baroclinicity, weak convective stability and strong surface fluxes in the presence of an upper-level trigger Moist processes are crucial for coupling small- scale upper disturbances with the surface vortex Polar Lows Growth rates larger than baroclinic Warm core forms by seclusional process Structure modified by environmental shear 60 h 30 h No Shear Strong Shear (3x10 -3 s -1 )‏ Total condensed water results from idealized IC modelling tests by Yanase and Niino (2007). 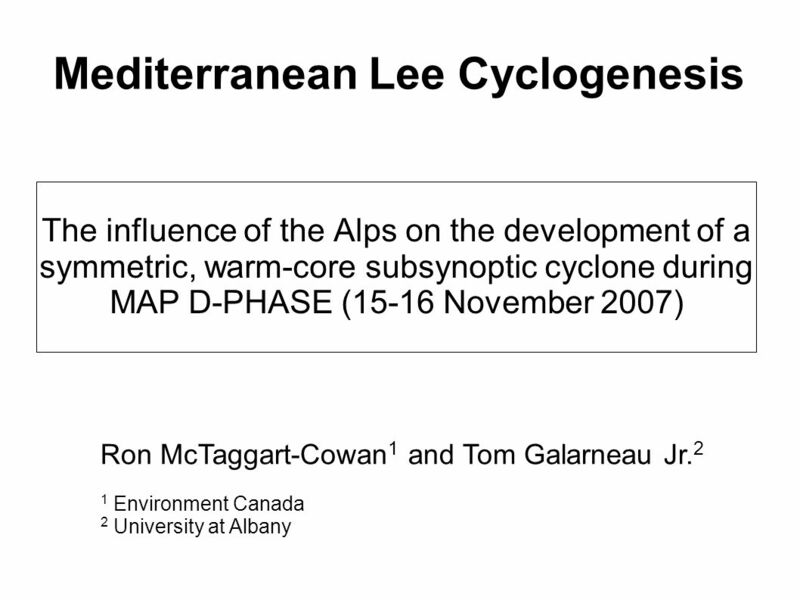 Download ppt "Mediterranean Lee Cyclogenesis The influence of the Alps on the development of a symmetric, warm-core subsynoptic cyclone during MAP D-PHASE (15-16 November." 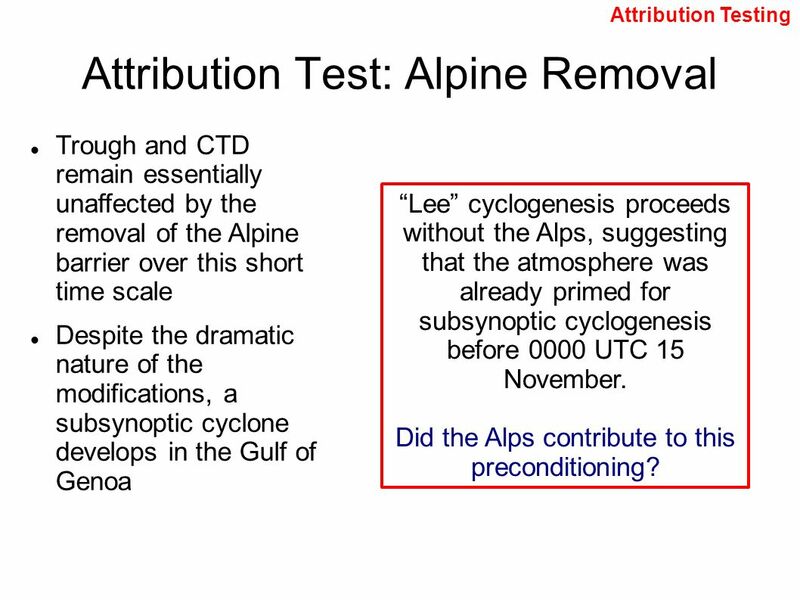 Creating AEW diagnostics. 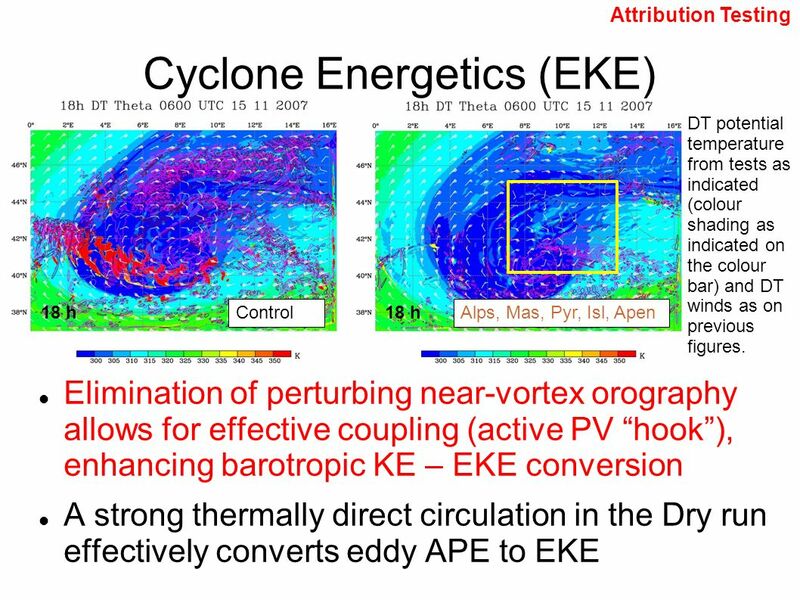 As seen in case studies and composites, AEWs are characterized by a ‘wavelike’ perturbation to the mid-tropospheric wind field. 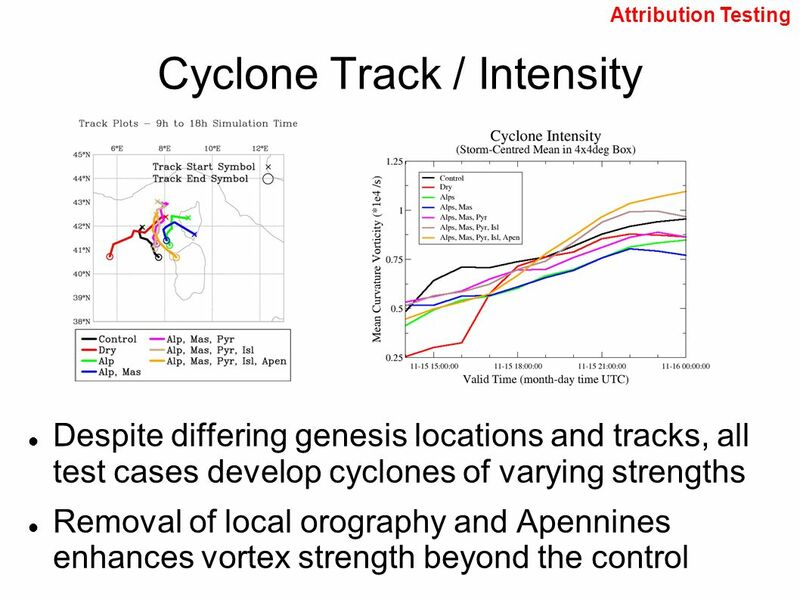 Recurving Typhoons as Precursors to an Early Season Arctic Outbreak over the Continental U.S. Heather M. Archambault, Lance F. Bosart, and Daniel Keyser. 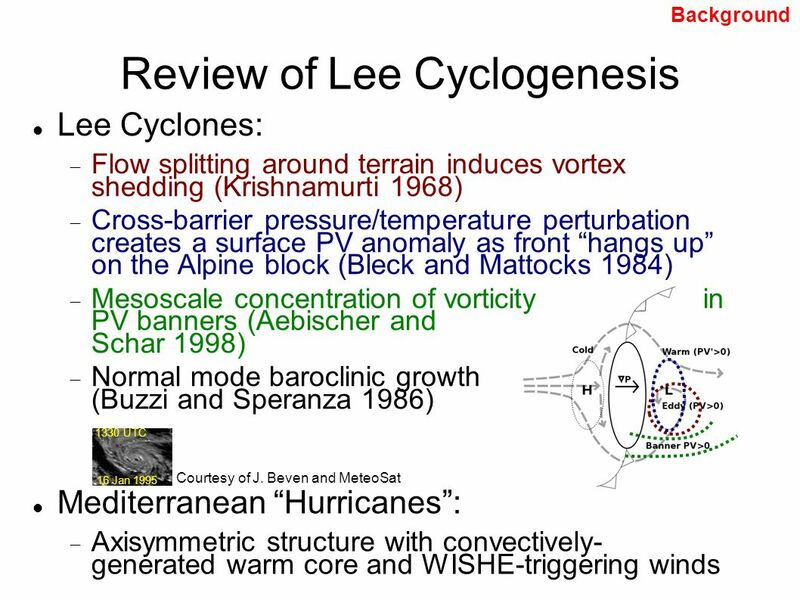 Climatological Aspects of Ice Storms in the Northeastern U.S. Christopher M. Castellano, Lance F. Bosart, and Daniel Keyser Department of Atmospheric and. 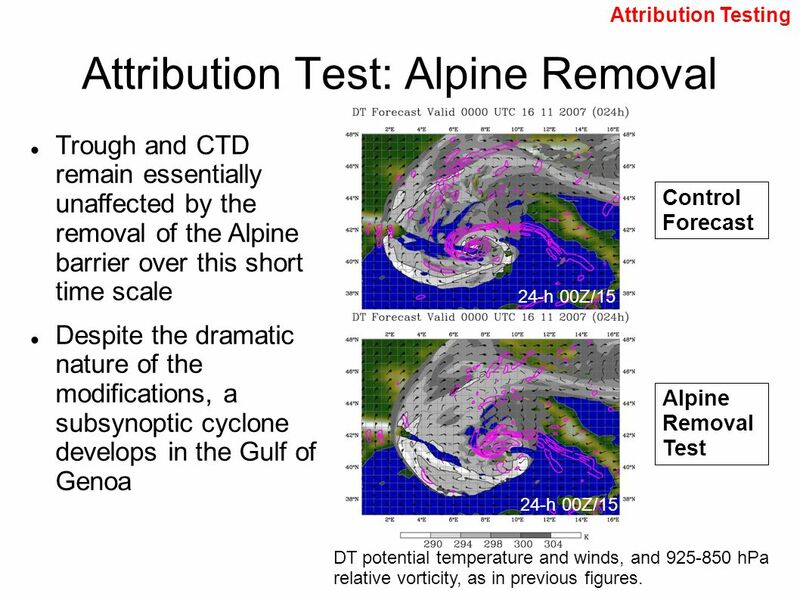 Tropical Transition Climatology R. McTaggart-Cowan, L. F. Bosart, C. A. Davis and G. Deane. 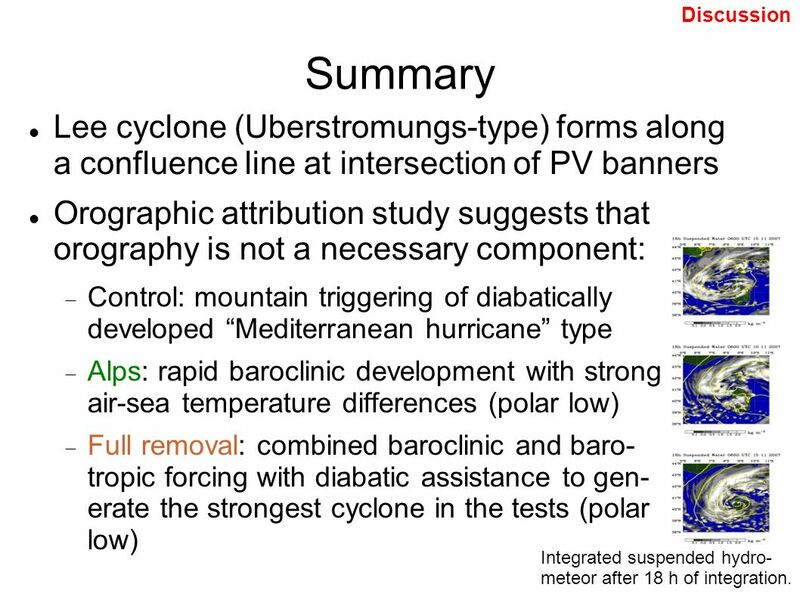 Chapter 6 Section 6.4 Goals: Look at vertical distribution of geostrophic wind. 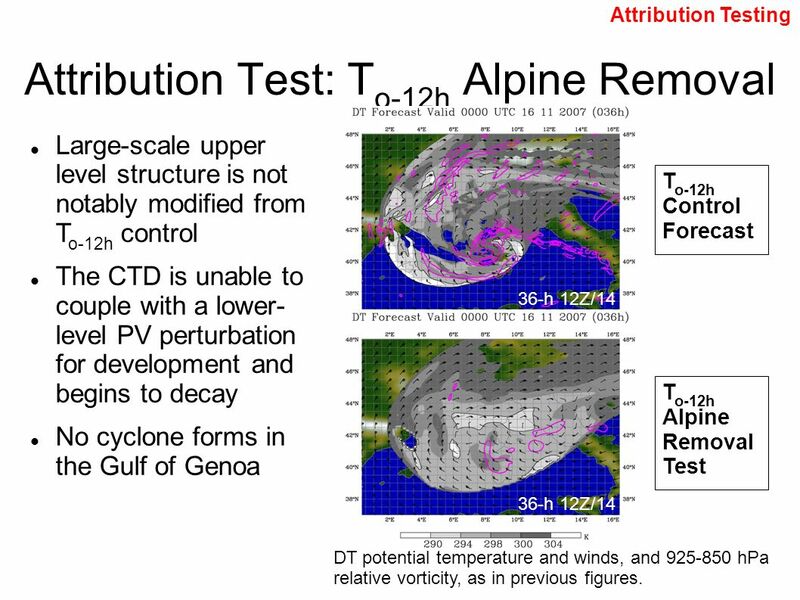 Identify thermal advection, and backing and veering winds. 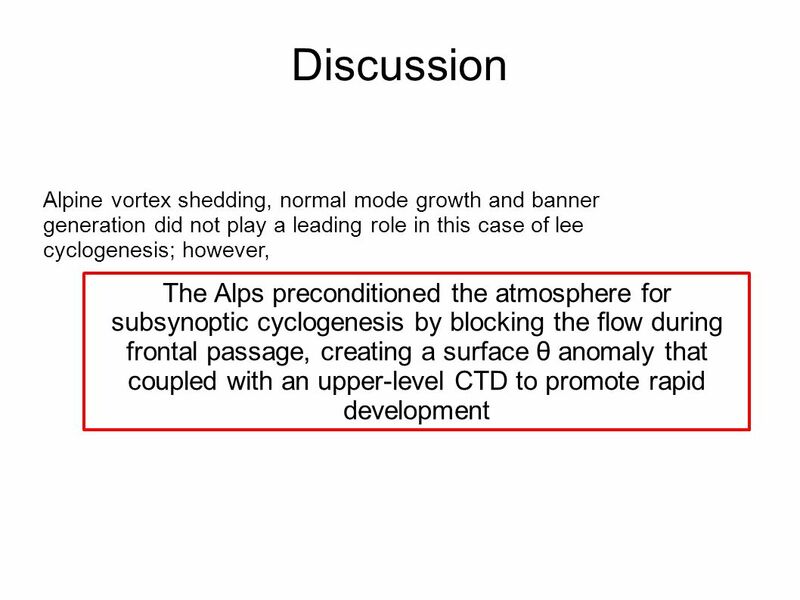 Look at an example. 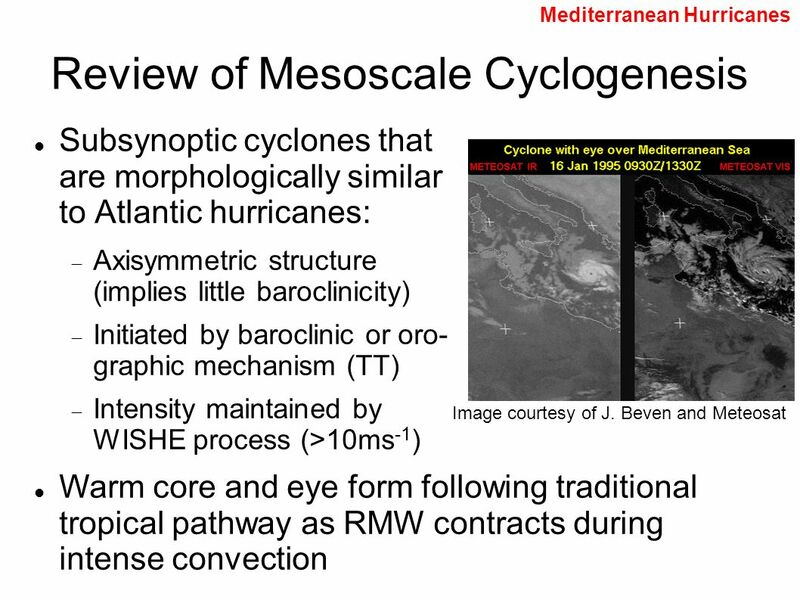 Hurricane Katrina (2005): Complex Lifecycle of an Intense Tropical Cyclone Eyad Atallah, Ron McTaggart-Cowan, Lance Bosart and John Gyakum. 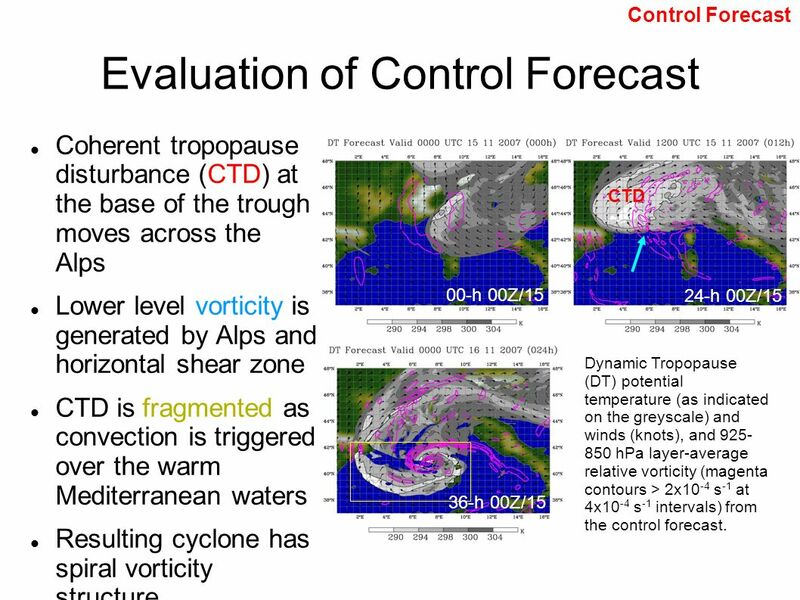 Orographic Storms in the Southern Europe Heavy precipitating storms resulting from proximity to Mediterranean Sea Fall season particularly dangerous because. 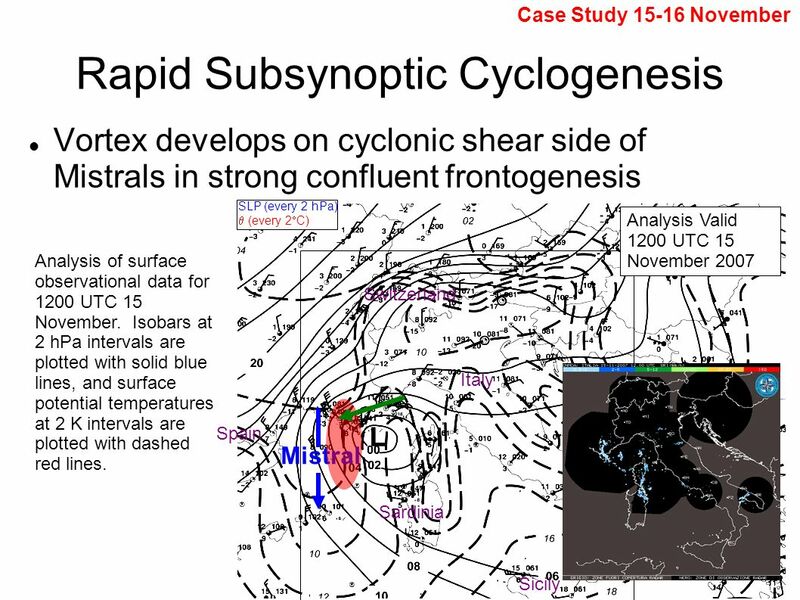 Chapter 10 Mid-latitude Cyclones Chapter 10 Mid-latitude Cyclones. 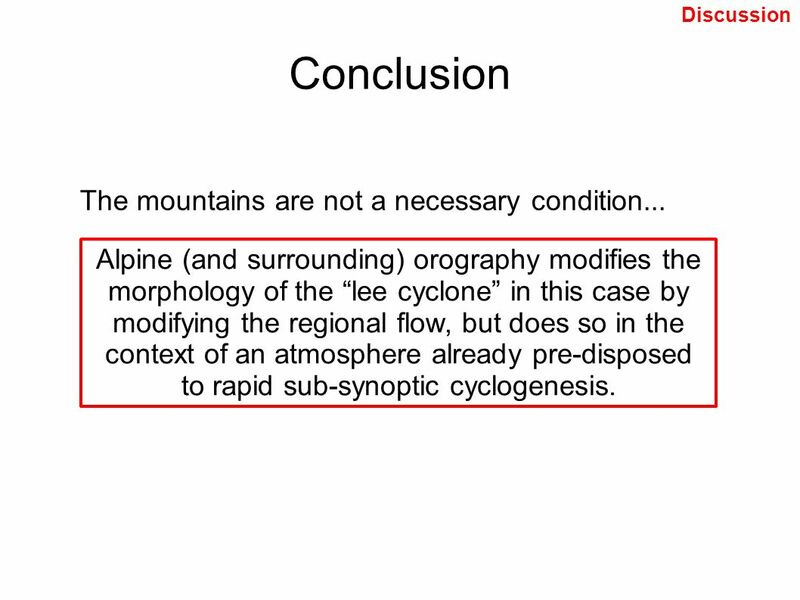 Analysis of Precipitation Distributions Associated with Two Cool-Season Cutoff Cyclones Melissa Payer, Lance F. Bosart, Daniel Keyser Department of Atmospheric. 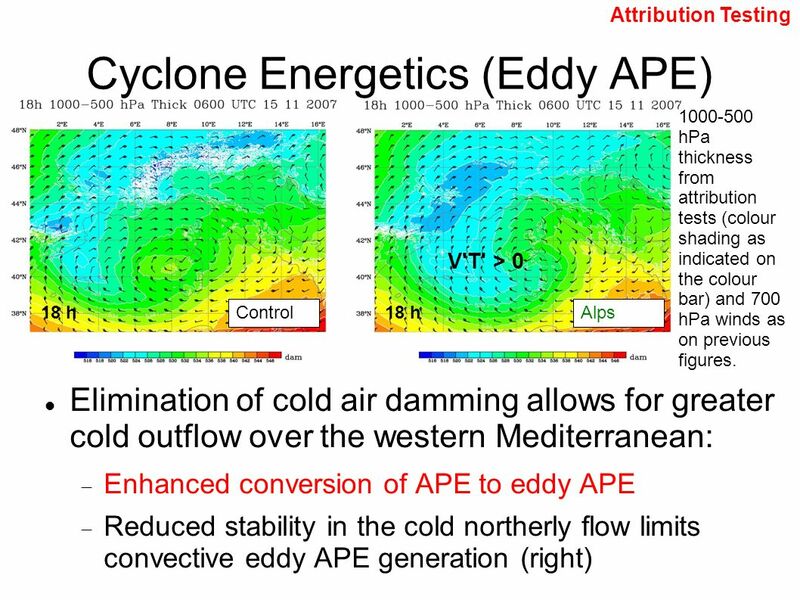 A Multiscale Analysis of the Inland Reintensification of Tropical Cyclone Danny (1997) within an Equatorward Jet-Entrance Region Matthew S. Potter, Lance. 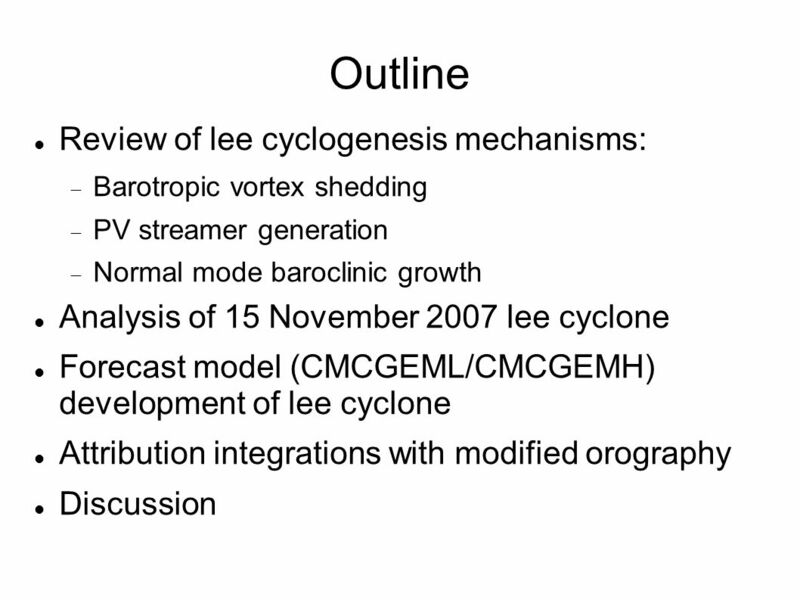 Vertical Structure of Extratopical cyclones Leila M. V. Carvalho. 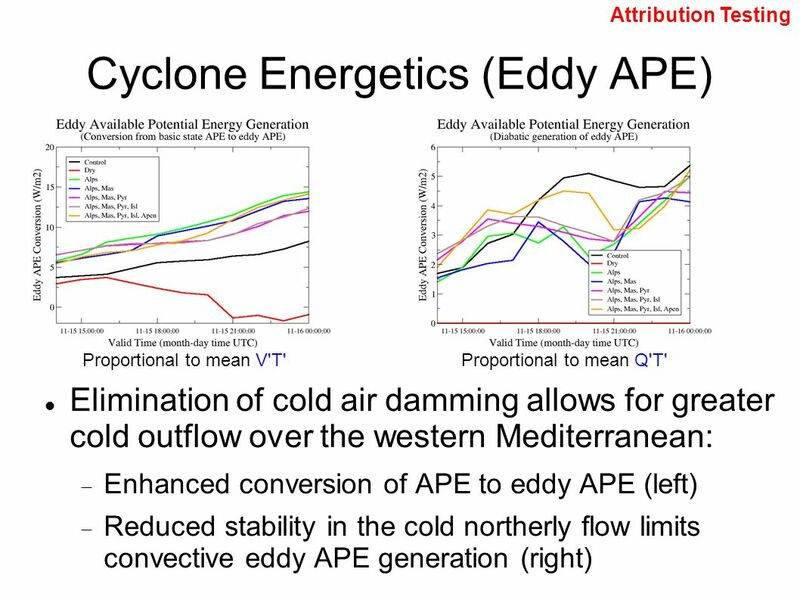 EASTERLY WAVE STRUCTURAL EVOLUTION OVER WEST AFRICA AND THE EAST ATLANTIC Matthew A. Janiga Department of Atmospheric and Environmental Sciences, University. 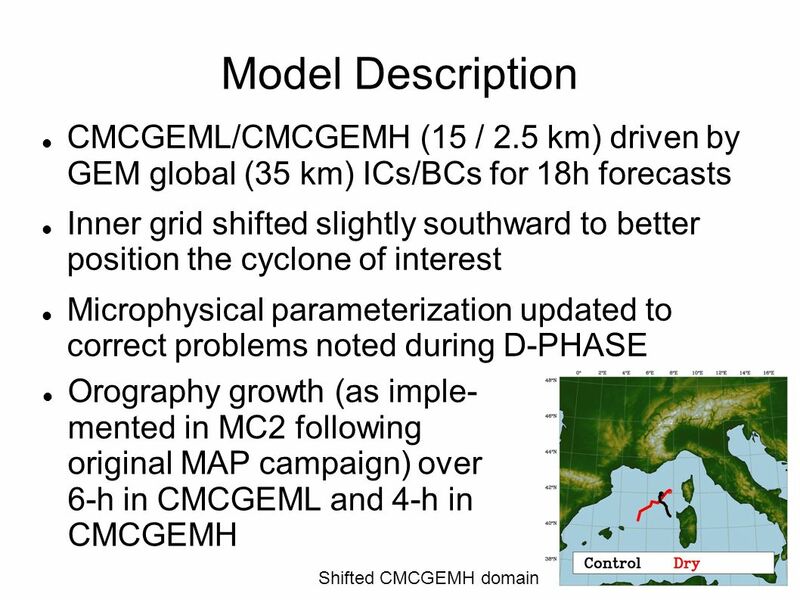 The Extratropical Transitions of Danielle and Earl (1998) Ron McTaggart-Cowan J.R. Gyakum, M.K. 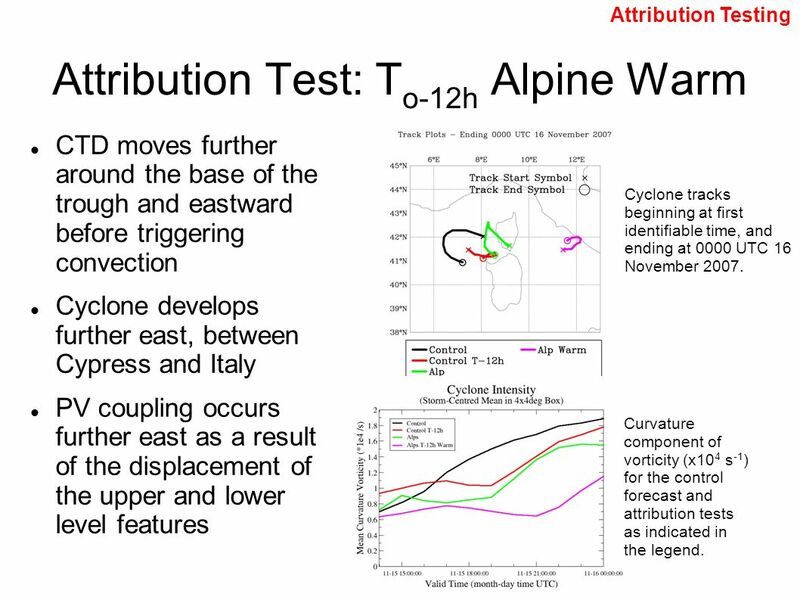 Yau. 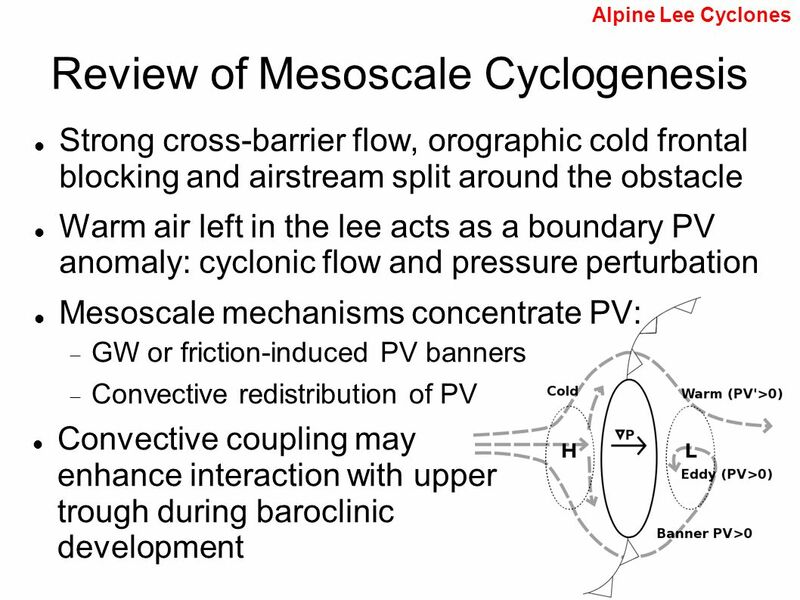 A brief synopsis of Johnson and Mapes: Mesoscale Processes and Severe Convective Weather From Severe Convective Storms sections 3.3b, 3.3c.1, 3.4 By Matt. 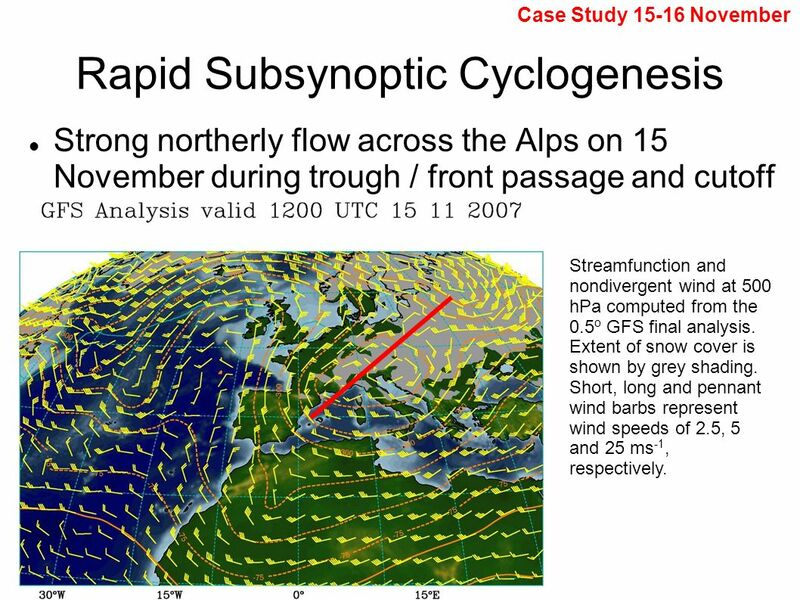 An Unusual Pathway to Oceanic Cyclogenesis Linking “Perfect Storms” in the North Atlantic Ocean Jason M. Cordeira and Lance F. Bosart Department of Earth. 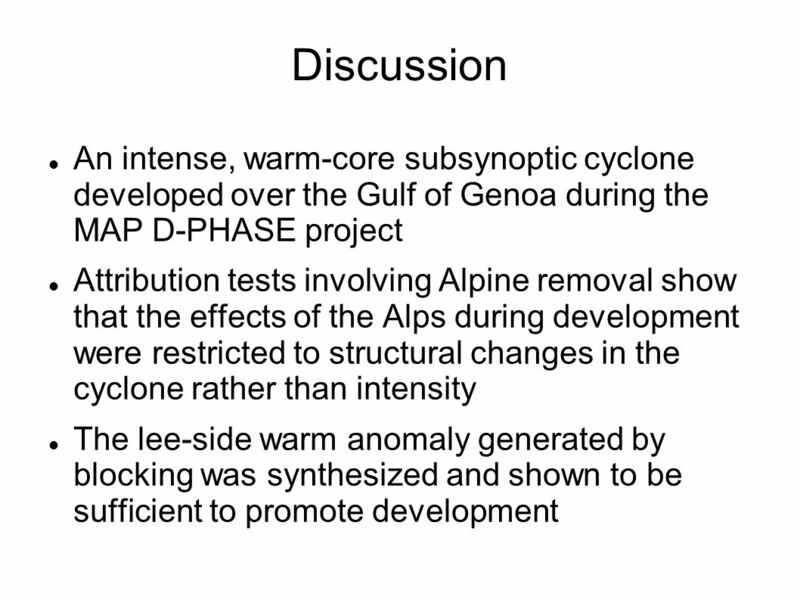 Numerical Simulation of Hurricane Alex (2004) R. McTaggart-Cowan, L.F. Bosart and C. Davis.